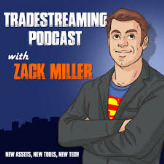 Zack Miller has been growing investment businesses for the past decade. He's held senior leadership positions and consulted to some of the top next-generation finance sites including Seeking Alpha, Lending Club, LearnVest, Wall Street Survivor, Covestor, and SigFig. Zack began his career in finance as an equities analyst at a multinational hedgefund. He's also the author of Tradestream your Way to Profits: Building a Killer Portfolio in the Age of Social Media (WIley, 2010) and runs the popular investing website Tradestreaming.com. Zack received his MBA from Northwestern's Kellogg School of Management and his BA in Economics from Harvard. Initial coin offerings could be a new way to raise funds for public and private companies – if they're all running on decentralized ledgers. Total global funding to fintech companies fell to 47.2 percent to $24.7 billion in 2016 from $46.7 billion the year before, according to KPMG’s quarterly fintech funding report, The Pulse of Fintech, which came out in February 23. Citi Ventures and venture capital firm RRE Ventures made a major Series B investment in Clarity Money. Financial technology trends come and go but three are here to stay: Everyone has a mobile phone, large businesses are moving their data to cloud systems — and threats to cybersecurity are evolving with and around both behaviors. The Office of the Comptroller of the Currency is moving forward on allowing financial tech firms to apply for banking licenses. Some industry watchers worry OCC's requirements give an advantage to well-established firms over early-stage companies. Between tailgating at a pre-game party or watching the Super Bowl itself, you may not have had time to really dig into the week’s top news. As the halo burns off the big game weekend, regain focus by feasting on the best of our weekly coverage. NTSC National Technical Systems Inc. Description: OurCrowd is finally a better way to invest in startups. For accredited investors only, OurCrowd puts control back in the hands of venture and angel investors. We identify the most interesting startups and provide individual investors the opportunity to choose which deals they participate in. Start building complete angel portfolios of startups with investments as small as $10k. Description: Responsible for all business development activities, third party partnerships, and international expansion. Description: Full-service boutique investment house providing services to international investors. Description: High-level planning, investment strategies, and services for an international clientele. Description: Sealed, signed, and delivered partnerships with all the major financial content sites: Yahoo Finance, Wall Street Journal, Barrons, Reuters, Google Finance, and AOL Money. Description: An innovative guide to using social networking for successful investing There is no doubt that the emergence of social media has taken over the Internet landscape. The remarkable growth of Facebook and Twitter has forced everyone-including investors-to take notice. This book explains how to use social marketing to pick and evaluate stocks. Author Zack Miller embodies the nexus between asset management, equity research, and new Internet distribution technologies. As an asset manager, he writes extensively about the changes and opportunities in online finance for investors, financial advisors, and investor relations professionals-and with this new book, he'll show you how to use social media to profit like the pros. 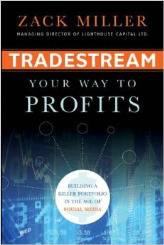 Description: Tradestreaming is a community of investors learning directly from experts. Through reviews, tools, tips, and technologies we help investors make investment decisions.